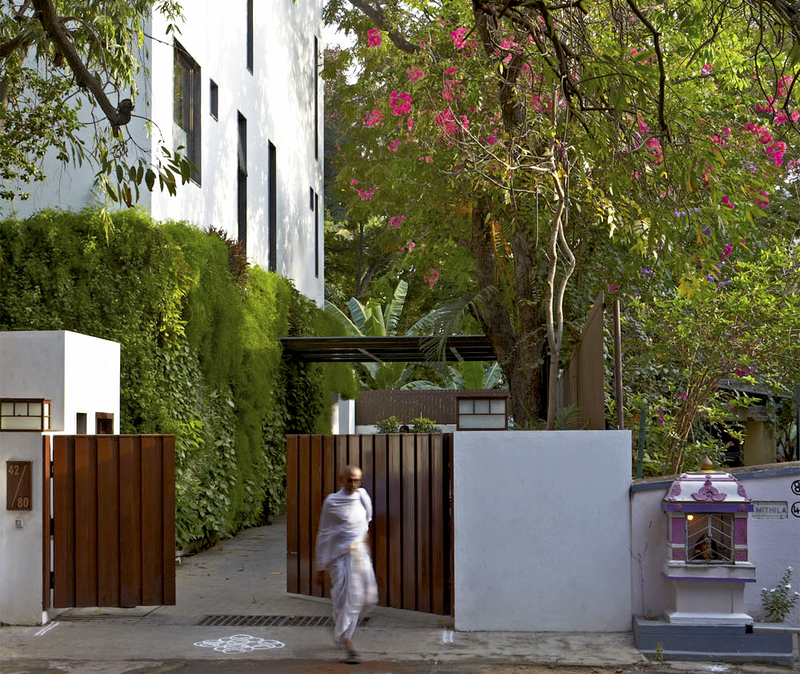 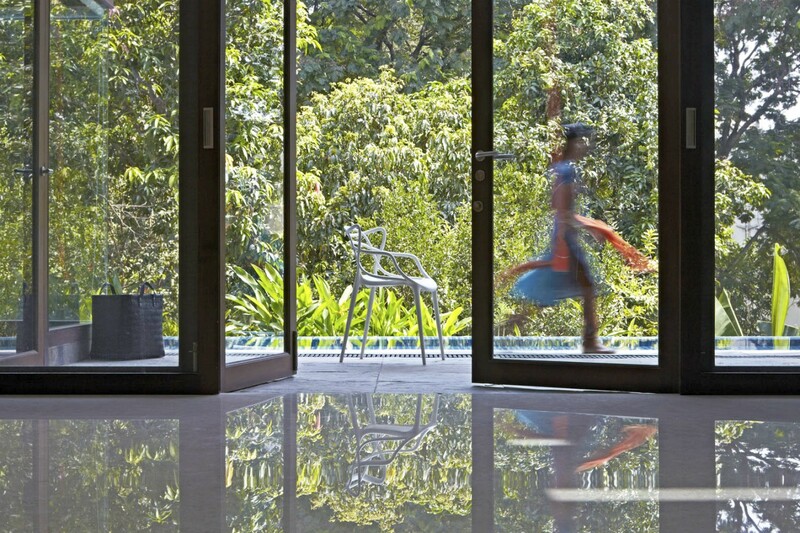 A single family residence located at Poes Garden in Chennai, the house is zoned vertically with public functions on the ground floor and private spaces organized around a covered courtyard on the upper floor. 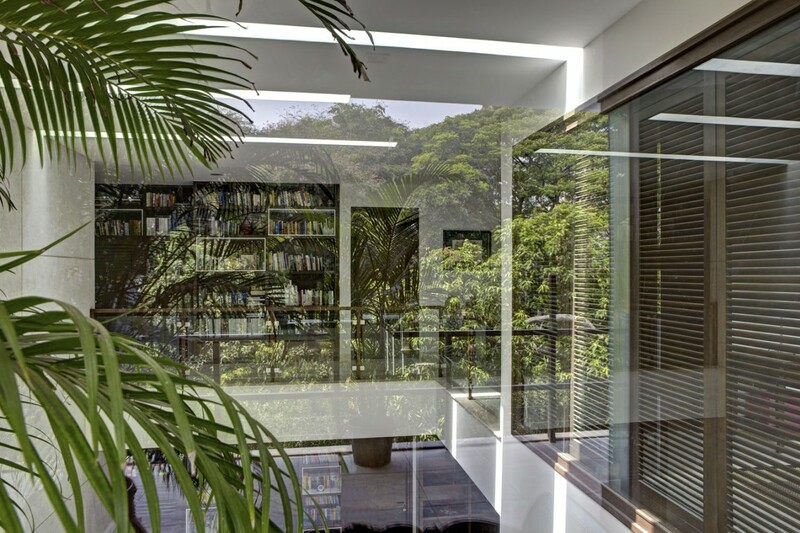 Linear skylights in the slab above the courtyard draw shafts of light through the volume, around which bedrooms and family spaces are organized. 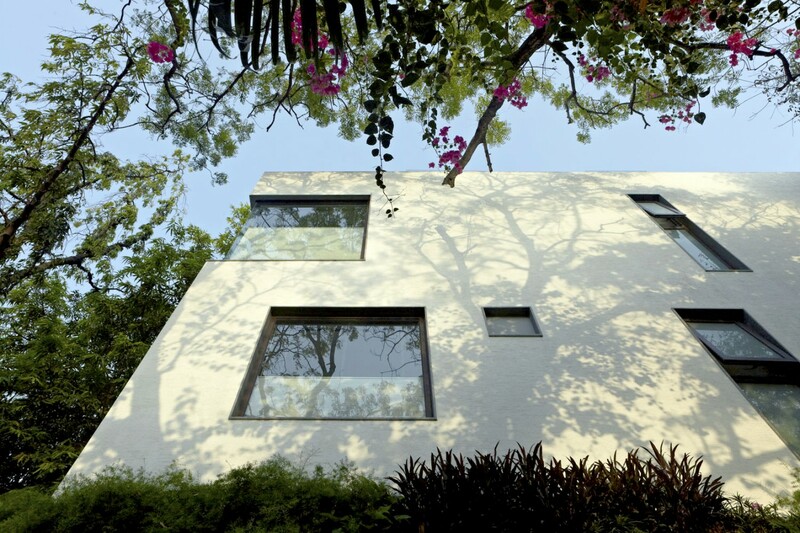 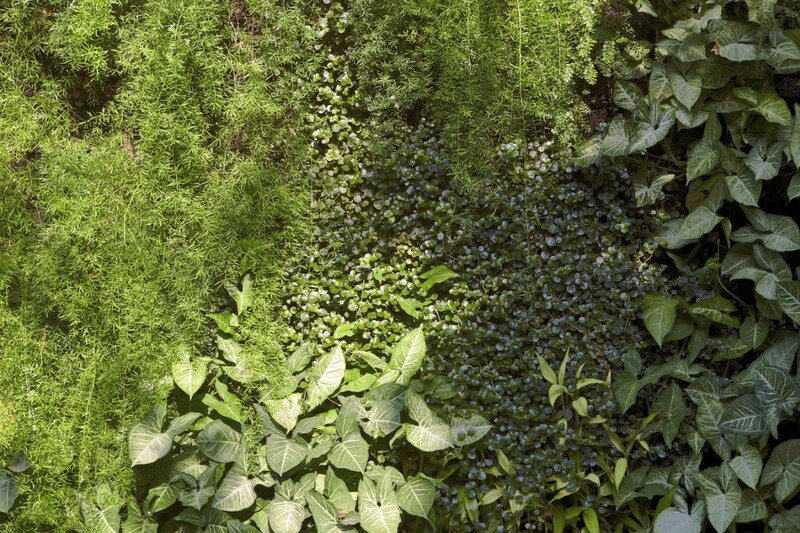 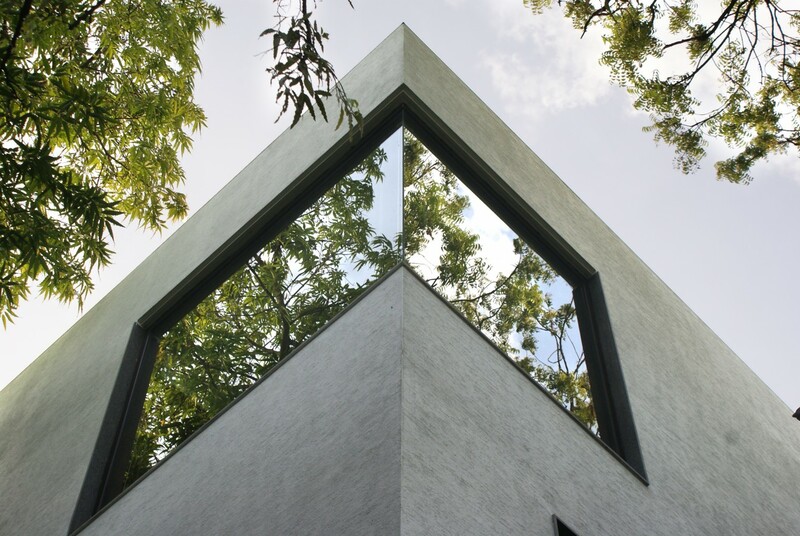 Vertical zoning is expressed externally in the form of a ‘greenwall’ that defines the base, upon which rests visually a white cube, accommodating the private zones of the house.